It is with great delight that I am able to announce the Spring of ’14 Carrera Marble Collection. The sculpture is to be carved over a period spanning the months of April, May and June, 2014. The trip has been in the planning stage for several months but as we now head into the New Year I thought it a fitting time to make the announcement official. As you can imagine I’m very much looking forward to carving Carrera in its native country and can hardly wait for April to come around. 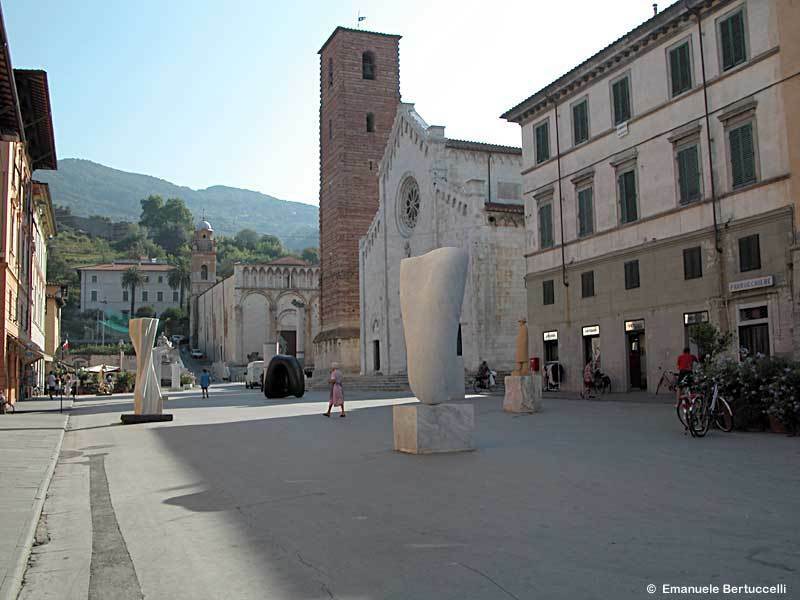 I’ll be living and carving in and around Pietrasanta, The City of Art, on the Tuscan coast. Furthermore you can follow my journey right here – martincooney.com. will be accompanying me and together we’ll set about unraveling the mysteries, challenges and unexpected joys inherent in adventure such as this. I have always loved Italy, ever since the days of my first glimpse of the magnificence of Rome as a youth. And while each successive trip conjures wildly contrasting memories, none have failed to leave me feeling inspired, awed… re-invigorated to face my own world with a fresh pair of eyes, and a freshly charged appetite for the sheer loveliness of life. I will however of course continue to carve my 1314 Winter Collection of Colorado Yule Marble, and will most likely be sculpting right up the the moment I board the plane. So here’s to 2014, may it be the best year of our lives! This entry was posted in All Postings, Posts about My Daily Life, Posts about my Sculpture, Rogue Carver On The Loose in Italy, Travel Posts and tagged idea for, independent tourist, origins, planning, The North West Tuscan Way. Bookmark the permalink.